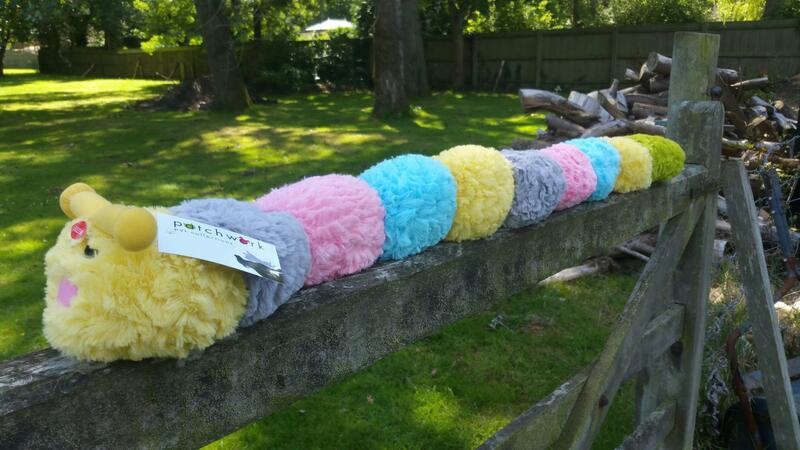 Pastel Softies are soft, cuddly, large enough to carry around, perfect for sofa cuddles or for playing toy football. 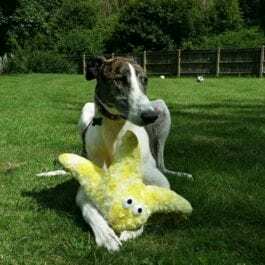 These toys are new to our range and have been tested for greyhound and lurcher approval! Then we have the long 35 inch monkey stick or caterpillar – hours of fun for the dog and the human family. Pastel Softie Caterpillar is still wiggly and soft, he made of colorful sections of durable, fluffy, mushroom fabric. 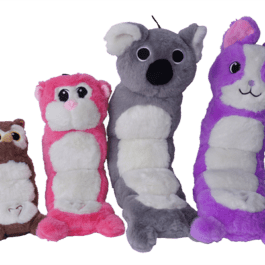 At 35″ long, the caterpillar comes with 9 squeakers (one in each section), 1 grunter, and a rattle noise function. 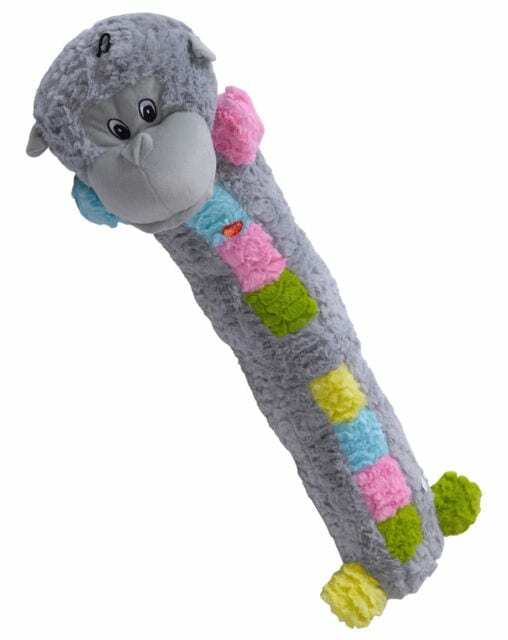 Pastel Softie Monkey Stick is full of colorful patches that are made of durable, fluffy, mushroom fabric. Dogs will love to wrestle & snuggle with this softie. 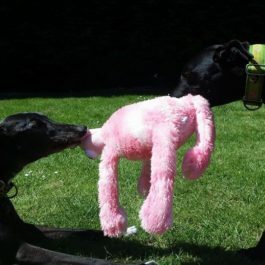 The 35″ monkey comes with 4 squeakers and 1 grunter. 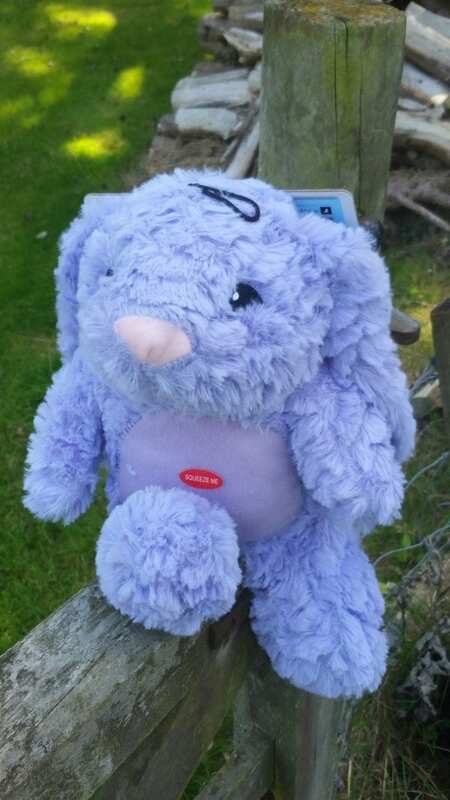 Pastel Softie Rabbit is a soft purple bunny with floppy ears. Tons of fun and good for an Easter gift. The rabbit is made from durable, fluffy, mushroom fabric. The 15″ Rabbit comes with 2 squeakers, 1 grunter, and 2 crunchy fillers. Pastel Softie Gorilla is a big pink softy with long arms with velcro on his hands so he can hang and swing! The gorilla is made from durable, fluffy, mushroom fabric. The 15″ gorilla comes with 3 squeakers and 1 grunter. 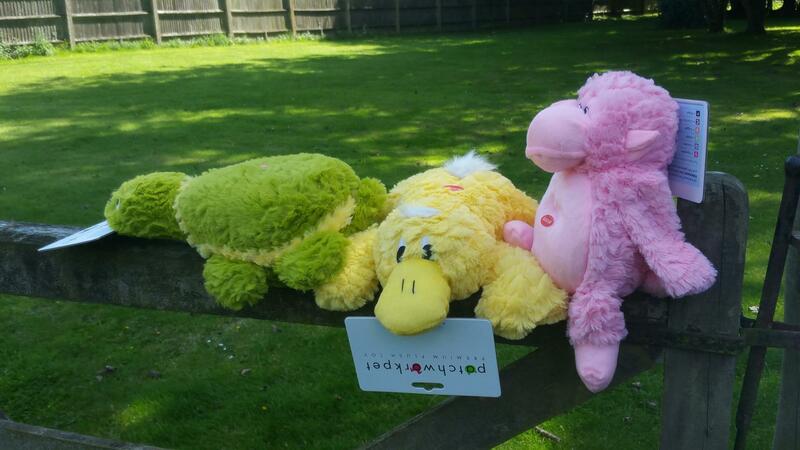 Pastel Softie Platypus is big yellow & squishy – tons of fun! He is made with durable, fluffy, mushroom fabric. 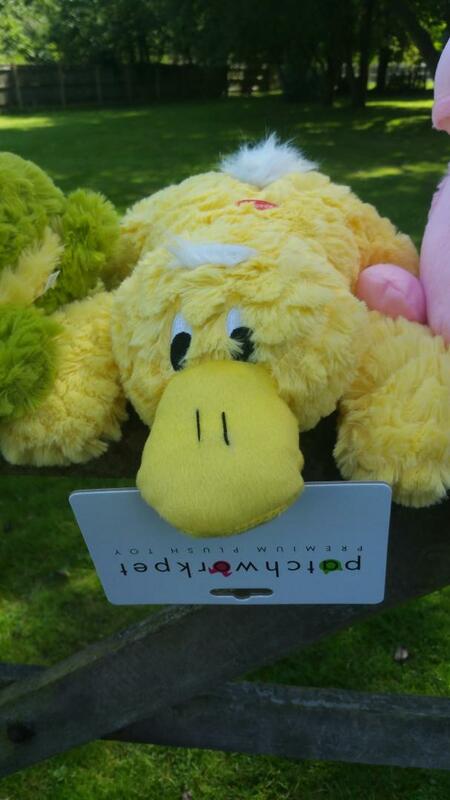 The 15″ platypus come with 3 squeakers and 1 grunter. Pastel Softie Tortoise Is bright green with yellow accents. He is soft and made with durable, fluffy, mushroom fabric. 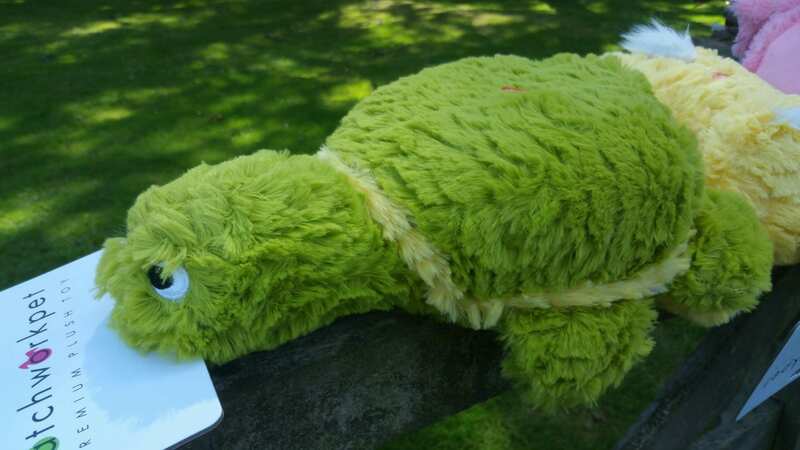 The 15″ turtle comes with 2 squeakers, 1 grunter, and 2 crunchy filler.